Lt. Gen. Gina Grosso is responsible for strength management, education and training, compensation, resource allocation, and the worldwide Air Force services program. Grosso sees her responsibilities as encompassing a “cradle to grave” approach to human resources, from recruitment and development to assignments and retention, she said. This also includes sustaining and regenerating Airmen and family programs to ensure their care and wellness. “Our personnel system is really rounded and all encompassing, (so we) have to really think — how do we tap into the talent that we have all across the Air Force,” Grosso said. 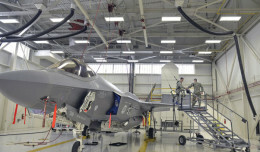 The Defense Department is leading the way with transformational efforts that will greatly modernize Air Force policies, with the ultimate goal of optimizing recruitment, retention, and overall productivity. The Air Force has cross-functional working groups aiming to accomplish those objectives and the initiatives of the Human Capital Annex to the Air Force Strategic Master Plan, the Air Force’s core strategic document. Bullying is not just a part of life that stops in the schoolyard; it can have consequences that stretch into adulthood and impact people for the rest of their lives. According to the National Center for Education, one in four children will experience bullying in their lives, and it comes in many forms: social, verbal, physical and even cyberbullying. But just because it exists and has remained for a long time doesn’t mean it has to stay that way forever. Some of those consequences include an impact on healthy behavior for children who bully and children who get bullied. For both, there can be psychological effects. Air Force Secretary Deborah Lee James hosted a Spouse and Family Forum in the Smart Center Auditorium on Joint Base Andrews Oct. 19. This forum provided an opportunity for Air Force leaders to address issues, suggestions, and questions directly from Air Force spouses and family members. James was joined by Air Force senior military leaders and subject matter experts as they fielded questions from the attendees and social media. The forum’s agenda — spouse employment and child care access; Air Force program for families with special needs; and schools, assignments, deployments and reintegration — was based on frequently asked questions James received during her travels. The ongoing mobile military lifestyle for military spouses is something that isn’t going away, according to Eddy Mentzer, the director of the Department of Defense Spouse Education and Career Opportunities Program. Military families are often asked to leave their homes, schools and friends to go where they are needed. The combination of goodbyes and making moving arrangements, it can be a very stressful time. Recently, a family of three was asked to do just that. In the middle of an already complicated process this family was faced with the birth of their second child. “Blake’s birth and diagnosis of Down Syndrome occurred in the middle of my family’s move to Little Rock,” said Special Agent Adam Boccher. Despite Blake being their second child, the Boccher family suddenly experienced the fear a new parent feels in a whole new light. The Air Force family at Little Rock Air Force Base assisted the Bocchers and led them on the path to success. The Exceptional Family Member Program, a program designed to provide support to military family members with special needs, stepped in to help the Bocchers find their way.